The SkLO wrap pendant light uses our signature SkLO large wrap object, a continuous wound length of handblown Czech glass tube, as a dynamic shade for a single bulb. Suspended on a hand-tied length of fabric-wrapped electrical cord – please specify length when ordering. Each wrap is unique, no two exactly alike. 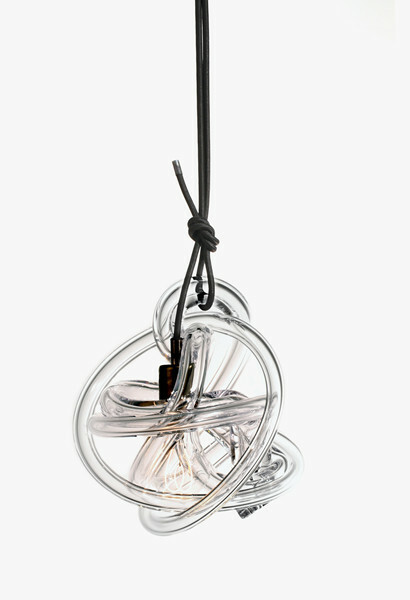 Pendant suspended from canopy on fabric-wrapped electrical cord.